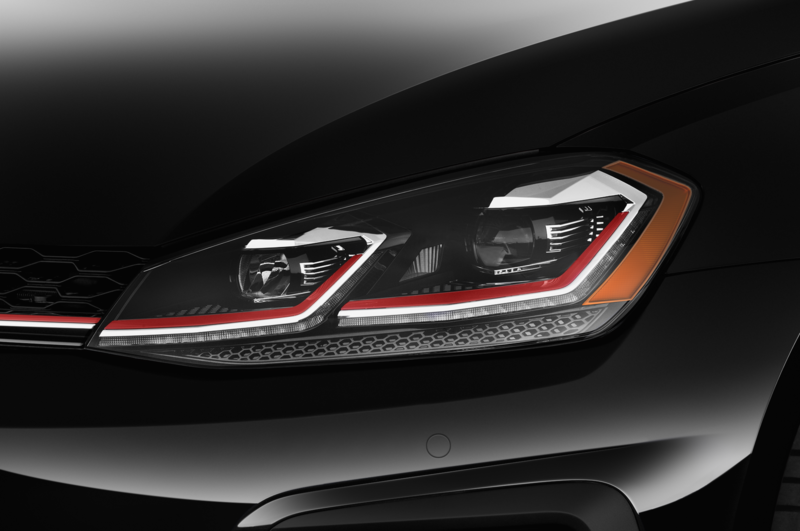 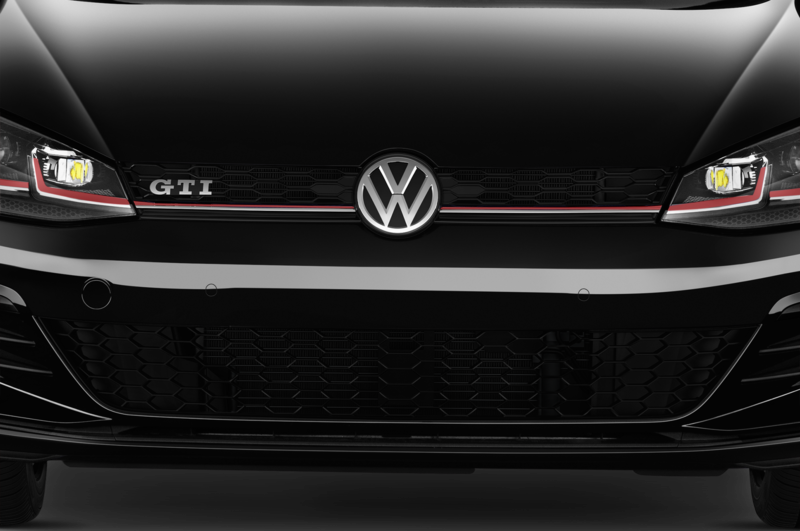 Austria’s annual Volkswagen festival, the Wörthersee Meeting, is unlike any other car event and a great place for Volkswagen and Sitech apprentices to reveal their one-of-a-kind Golf GTI dubbed the Golf GTI First Decade – the first GTI to be powered by a hybrid powertrain. 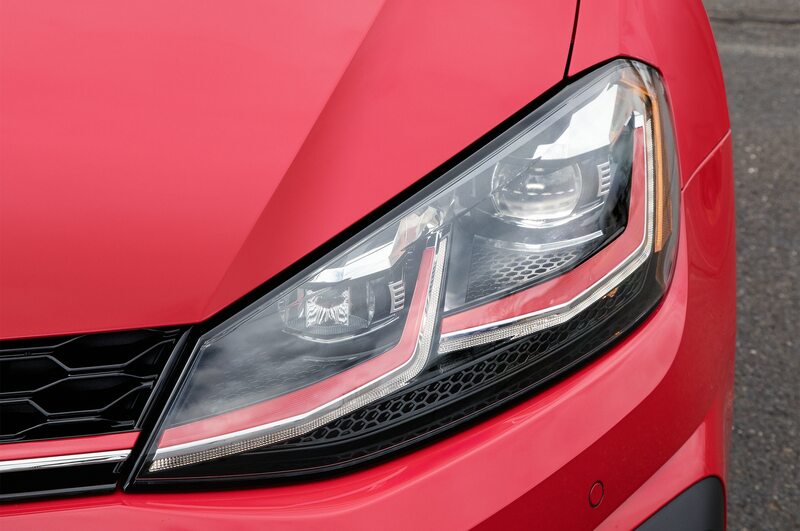 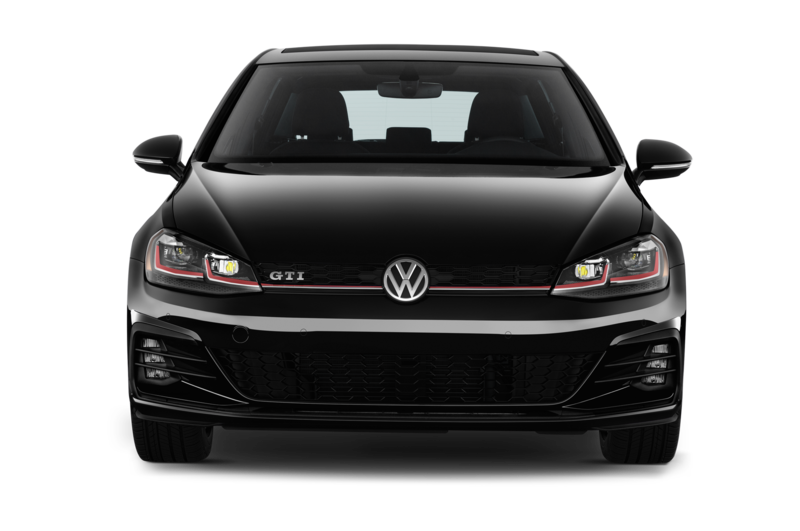 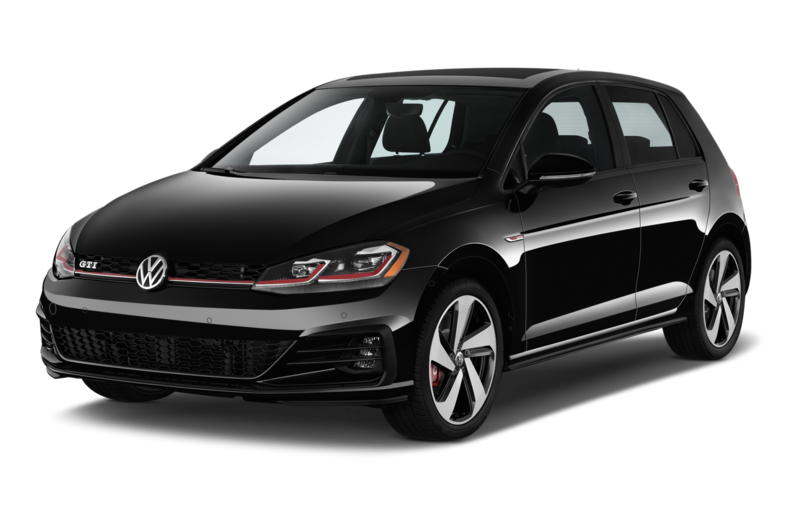 Built in less than nine months by 13 Wolfsburg plant apprentices, the GTI First Decade is powered by a 404-hp gasoline engine driving the front wheels, coupled to a rear-mounted electric motor that drives the rear wheels. 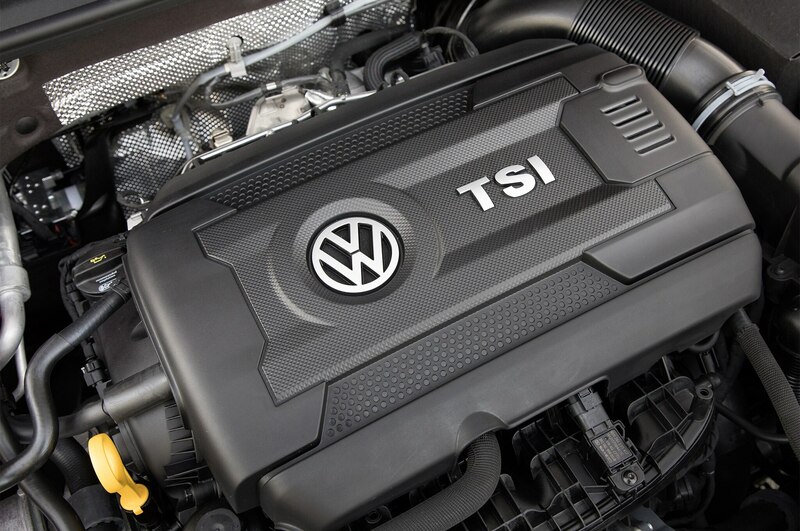 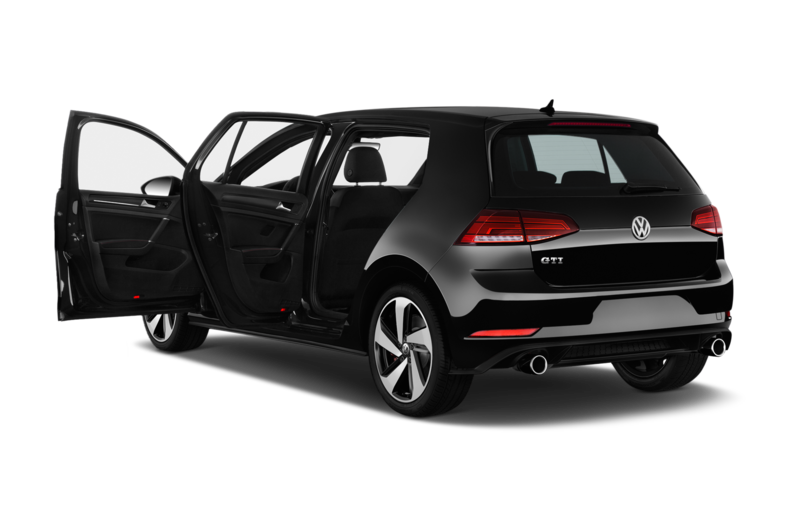 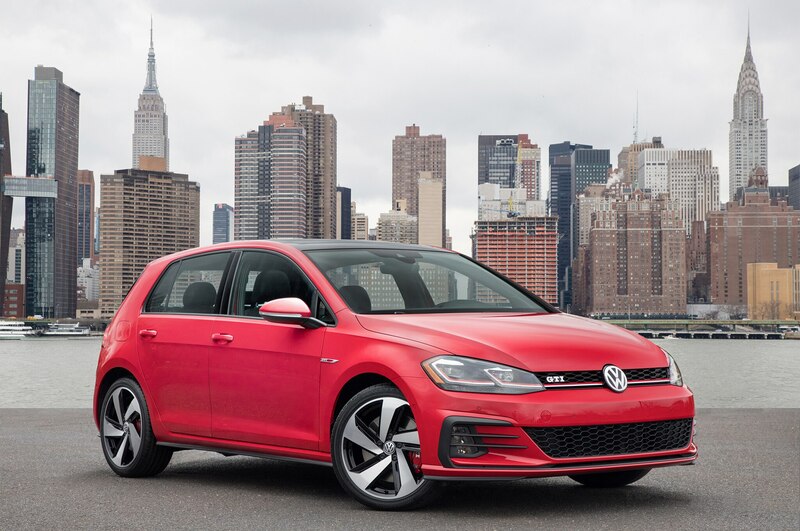 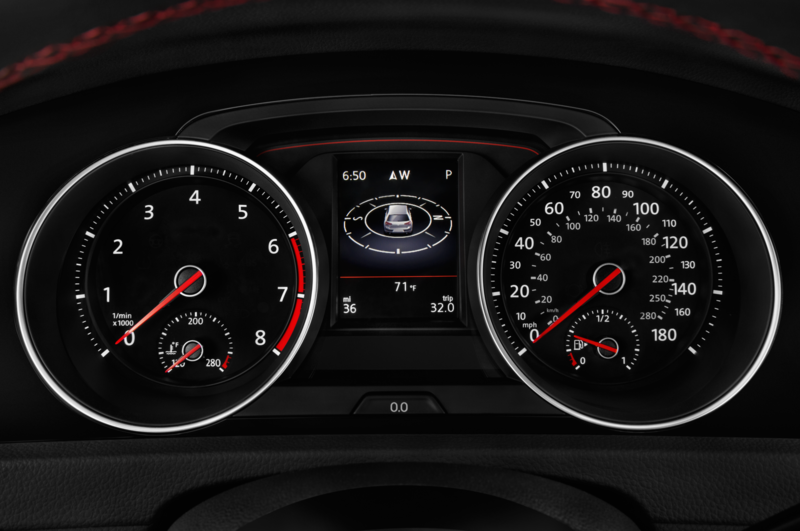 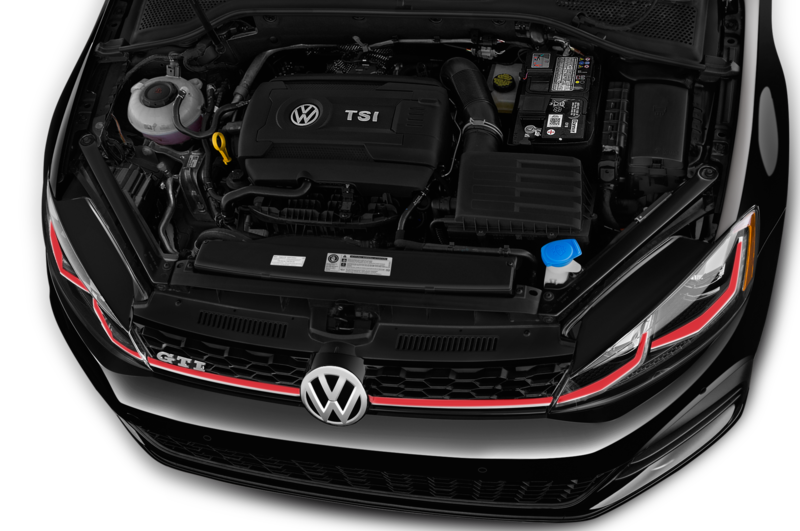 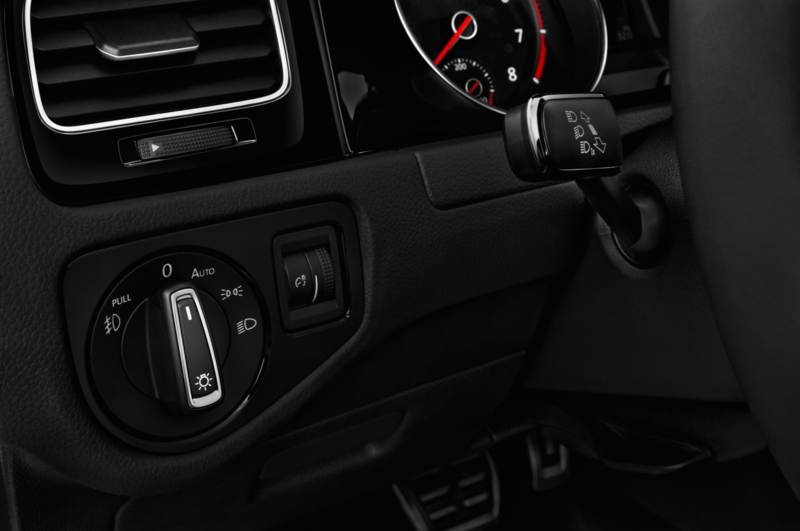 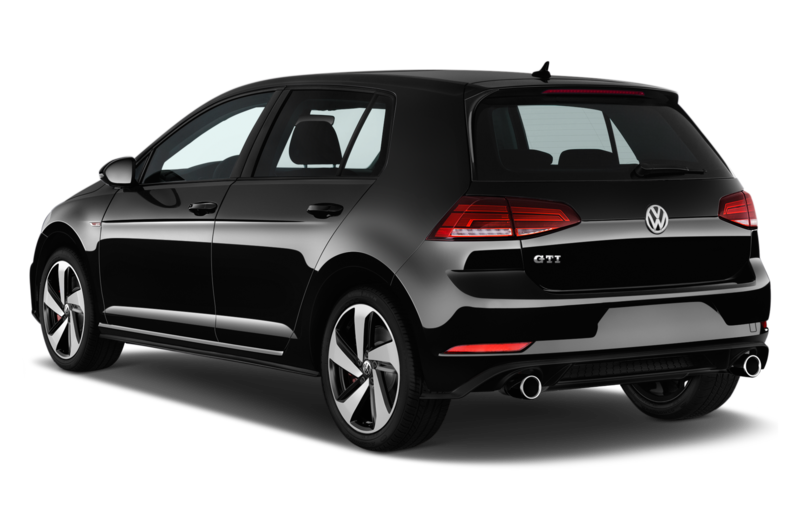 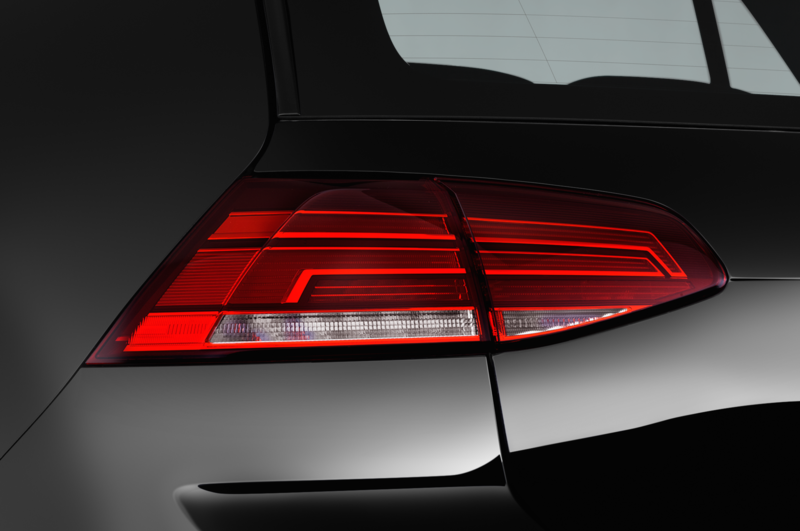 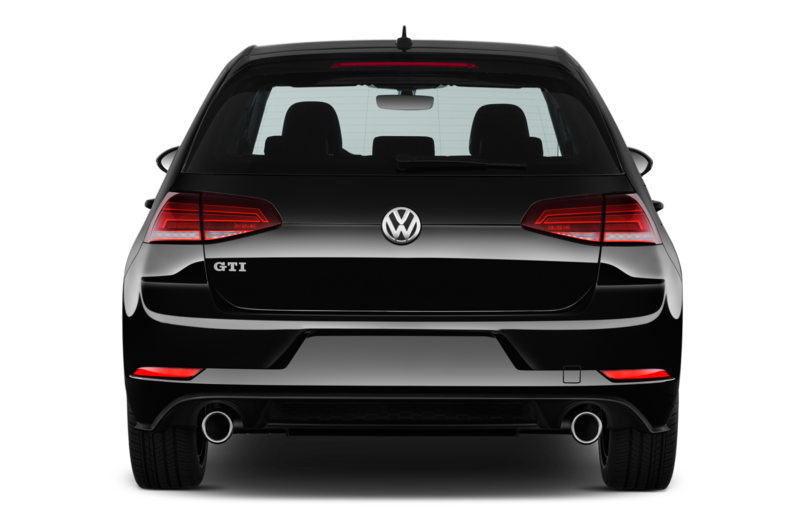 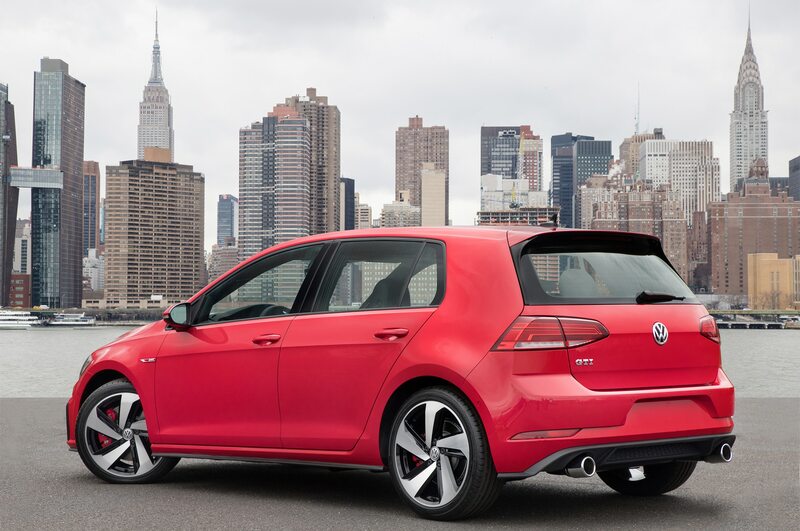 The GTI can be operated with the gasoline engine only (front-wheel drive), on electric power only (rear-drive), or a combination of the two for all-wheel drive. 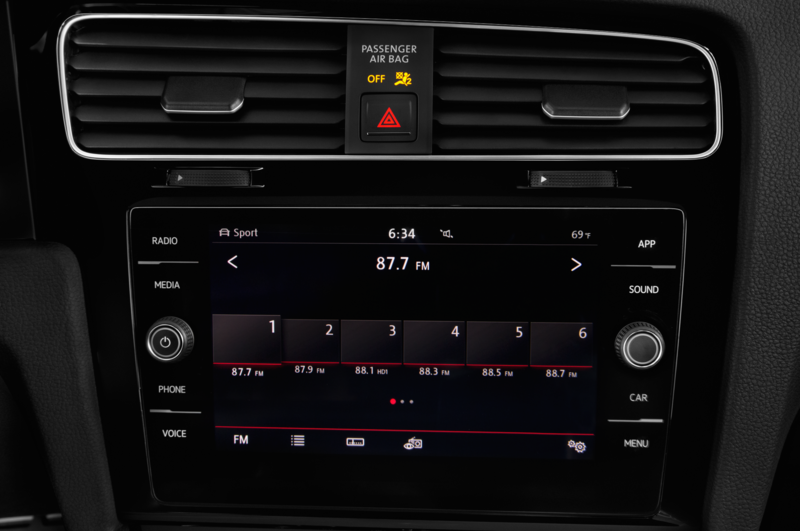 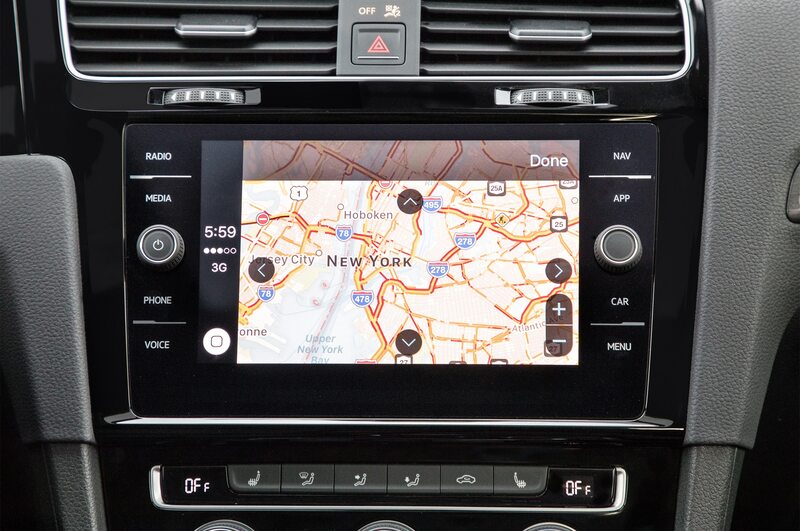 Using an app on a compatible device or through the infotainment system, the driver can select and control the different driving modes. 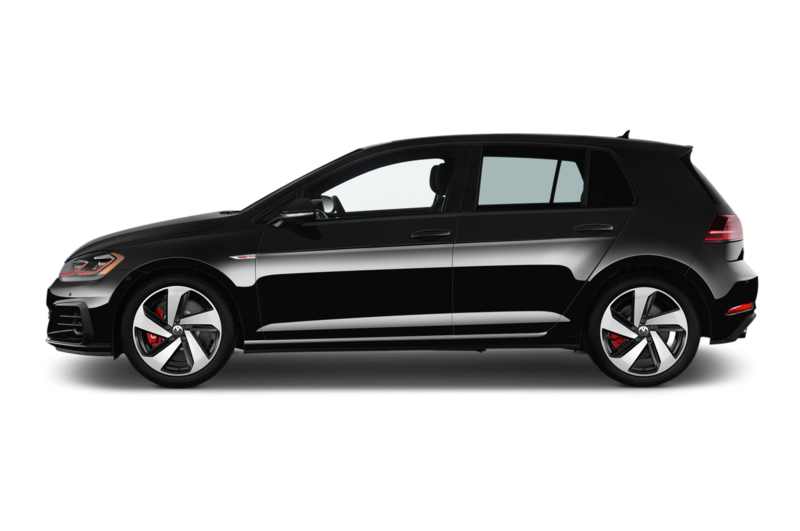 Two battery packs located in the rear of the Golf have a maximum output of 12 kilowatt-hours and are charged through regenerative braking. 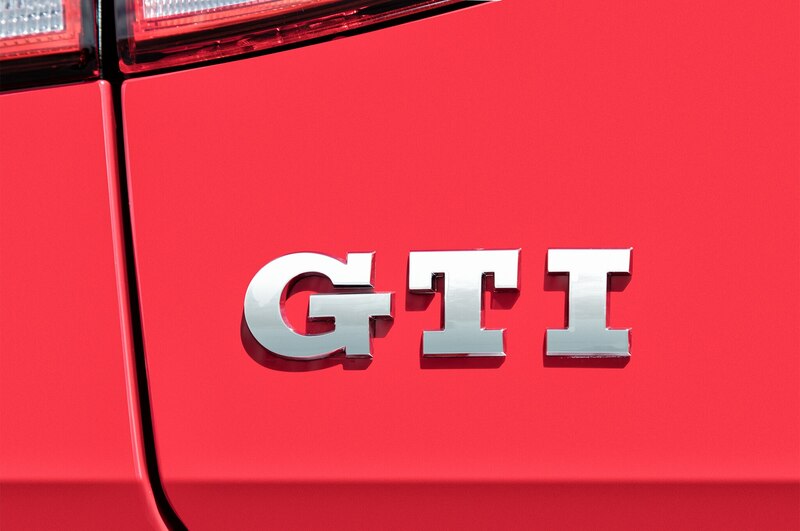 “During the creation of their dream GTI, our apprentices learn about the complexity and future challenges of automobile production. 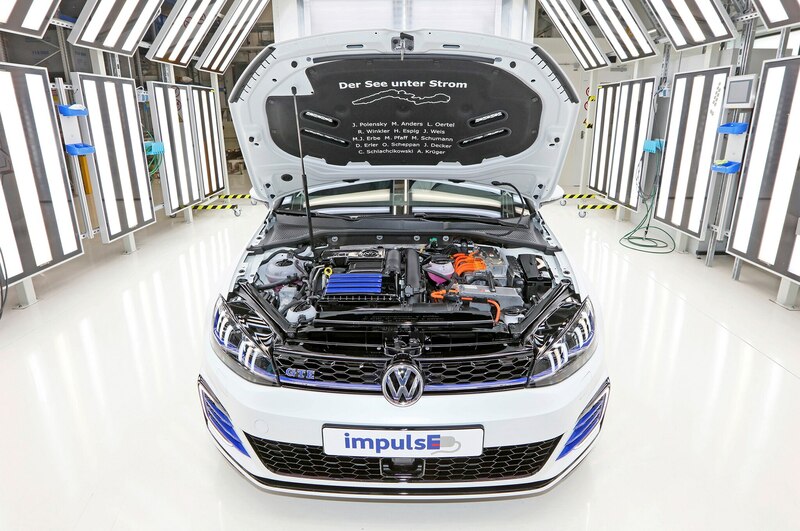 They gain further experience in the use of digital technologies, the application of system technology and electro-mobility,” says Peter Christ, head of automotive technology training in Wolfsburg. 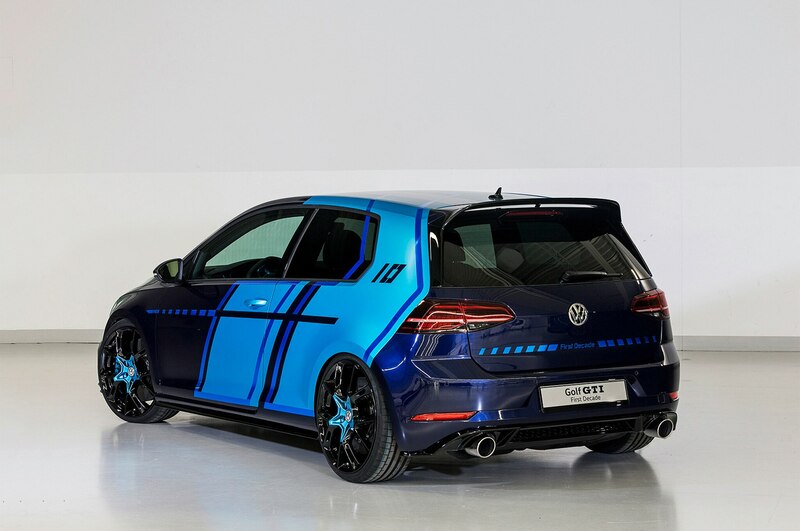 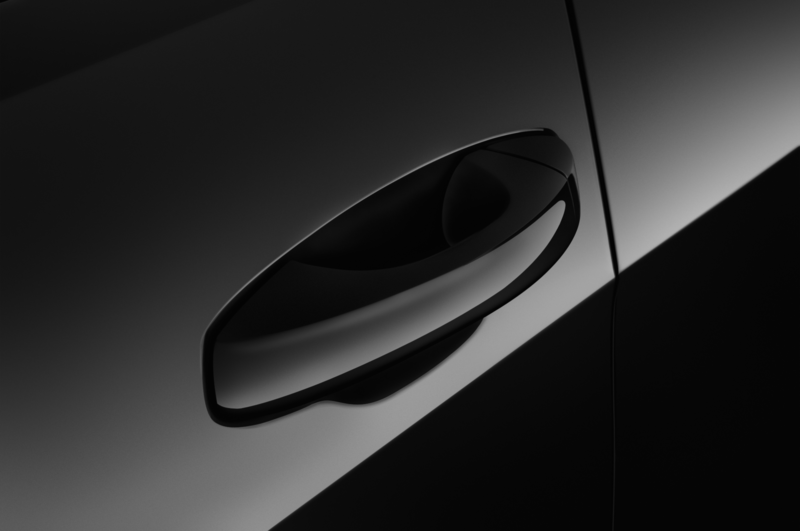 The GTI First Decade sports Atlantic Blue Metallic paint with large areas on the doors and side panels using foil painted in Satin Ocean Shimmer. 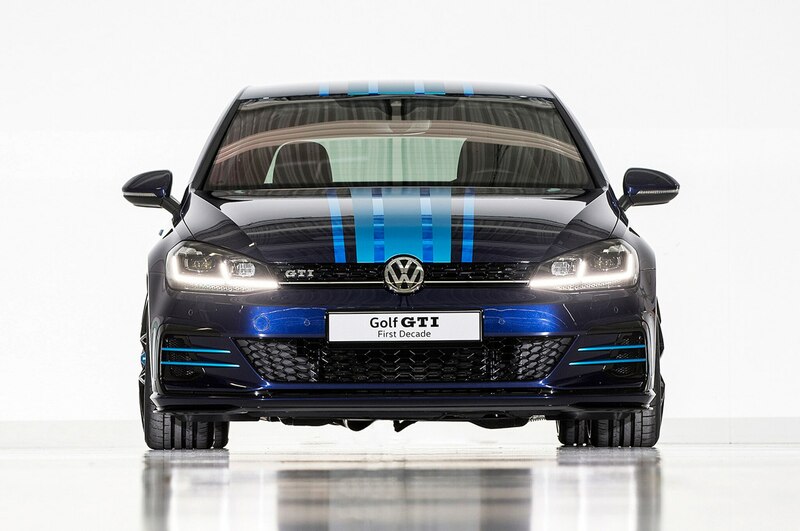 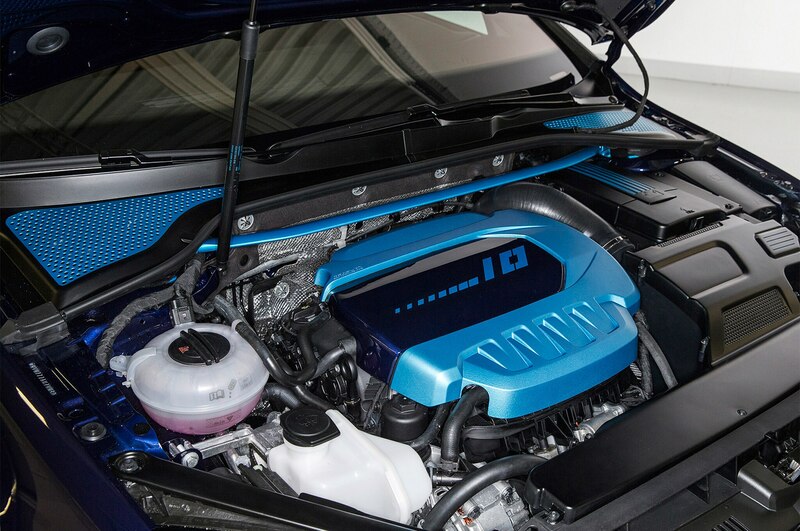 Stripes of glossy blue chrome foil can be seen throughout the paintwork, and the hood and roof receive racing stripes in three contrasting blue foils. 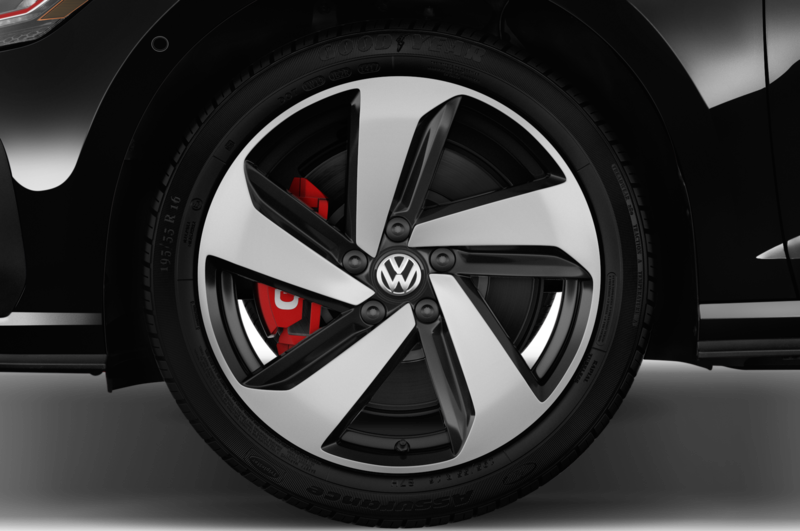 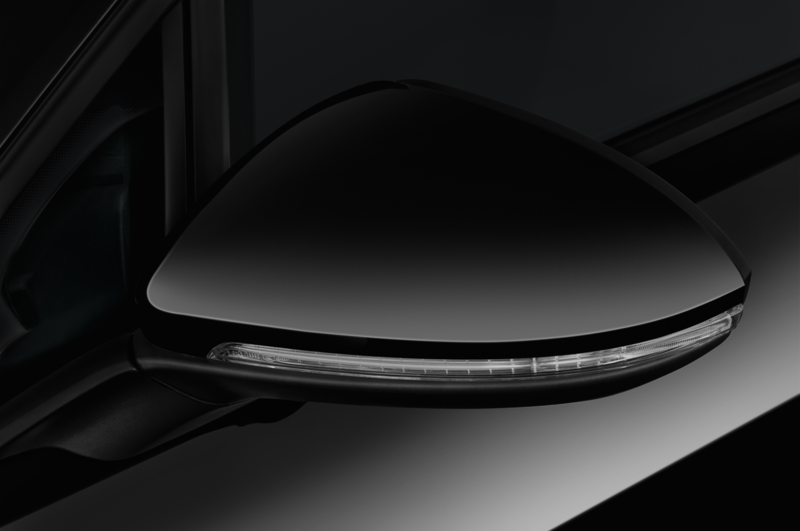 The 20-inch black mb-Design wheels have hubs painted in Ocean Shimmer while the honeycomb radiator grille receives a black high-gloss paint job. 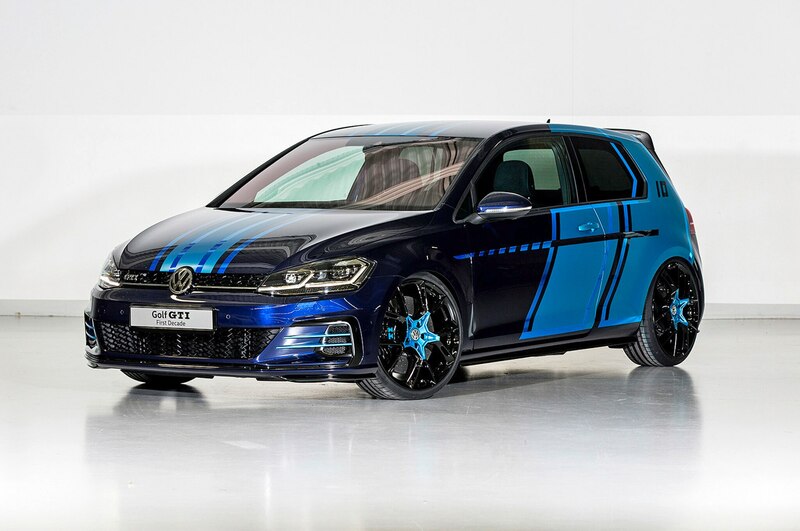 Being the 10th Wörthersee show car since 2008, the number 10 can be seen on the C-pillars along with a First Decade logo on the tailgate. 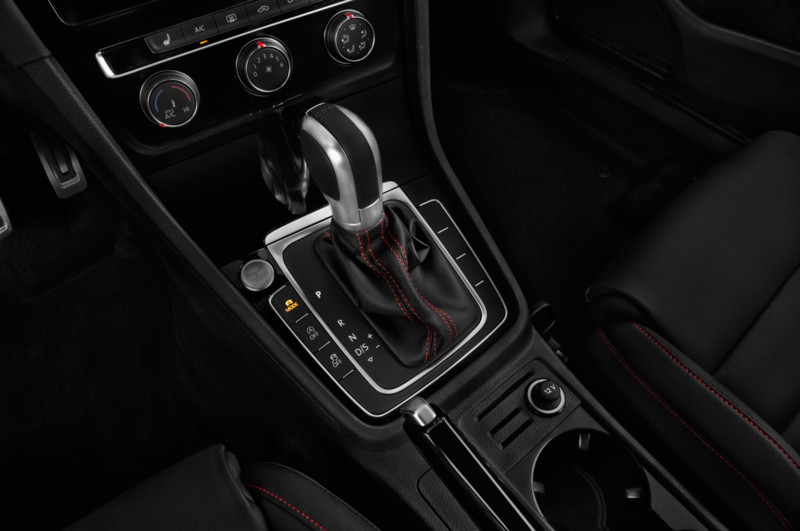 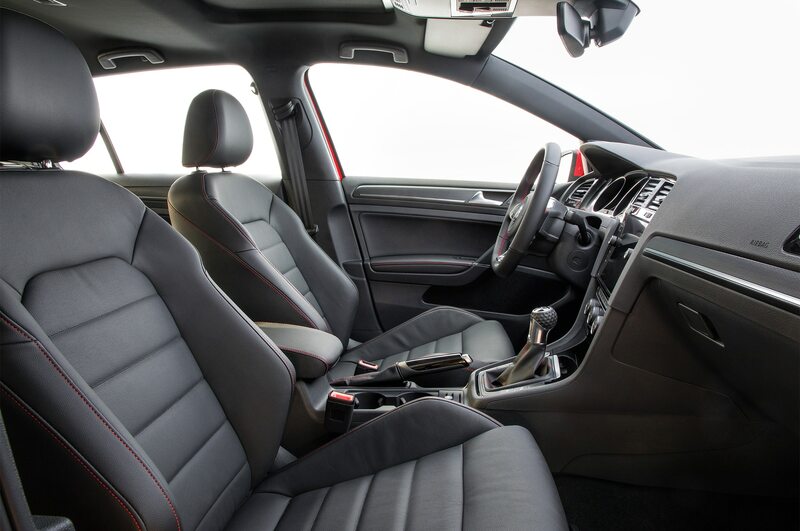 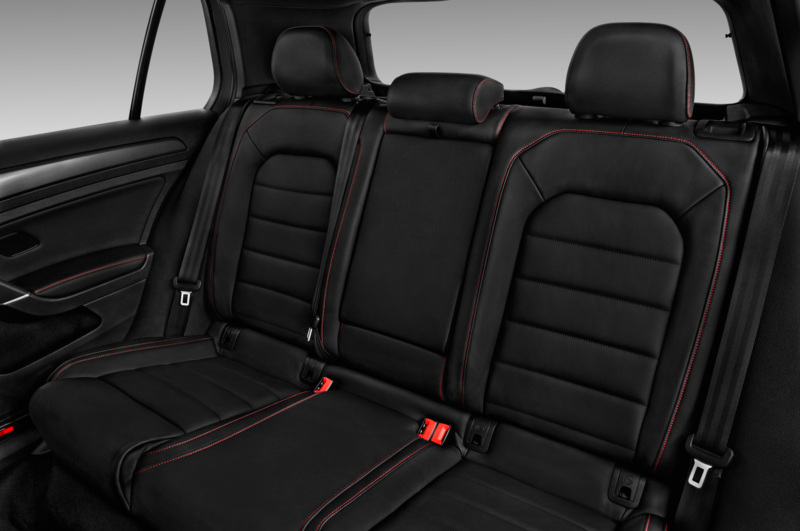 Inside, the handmade titanium sport seats are wrapped in black Nappa leather and Alcantara, feature a massage function, and can be electronically controlled using an app on a compatible device. 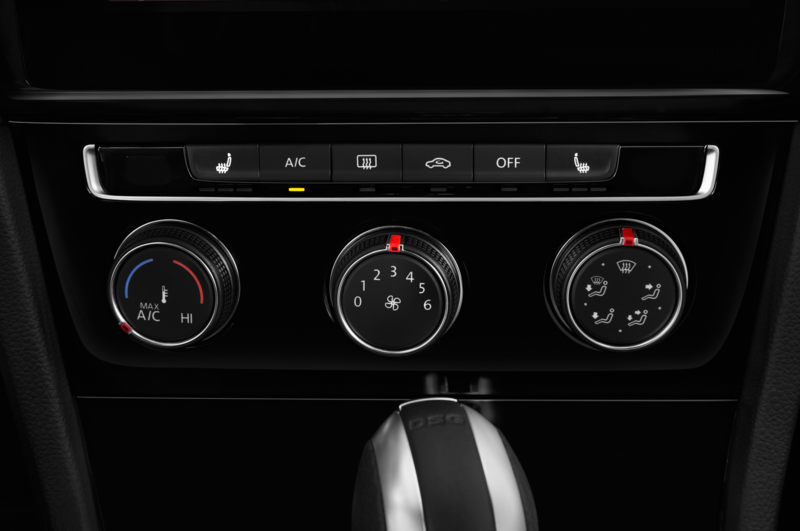 Air vent, instrument panel, steering wheel, and door trim are all painted in Ocean Satin Shimmer. 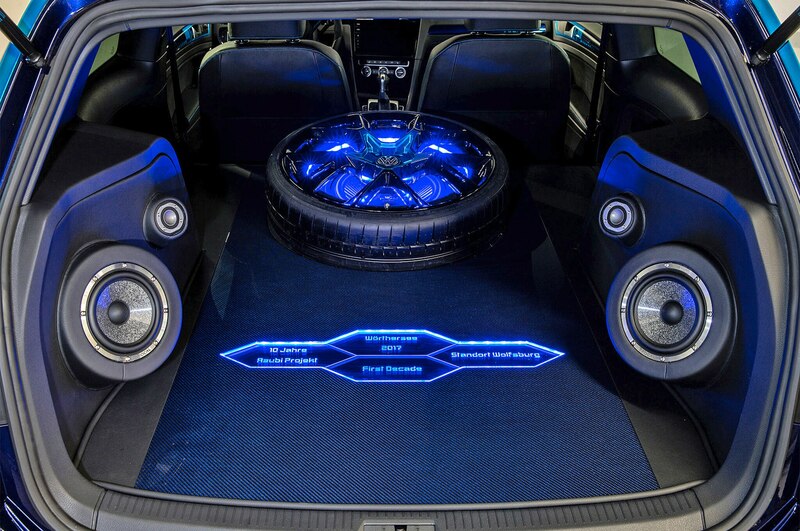 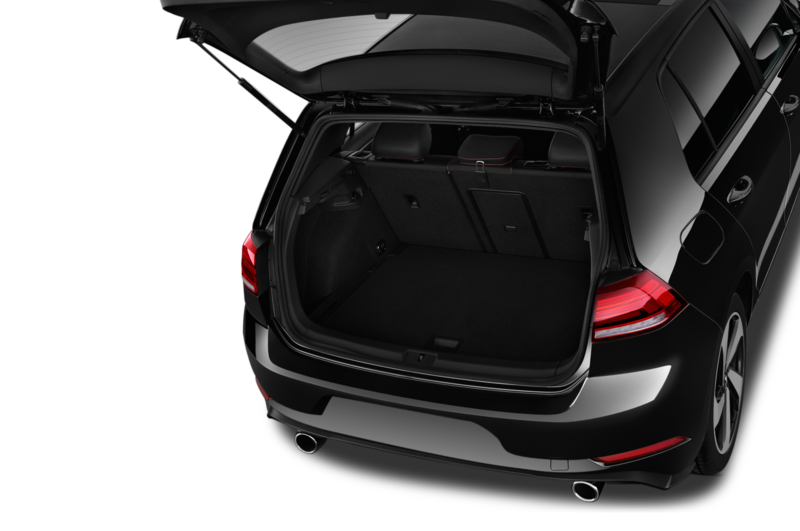 Replacing the rear seats and cargo area is an impressive-looking 1,690-watt premium sound system with 11 speakers and a subwoofer housed in a wheel and tire enclosure with LED lighting. 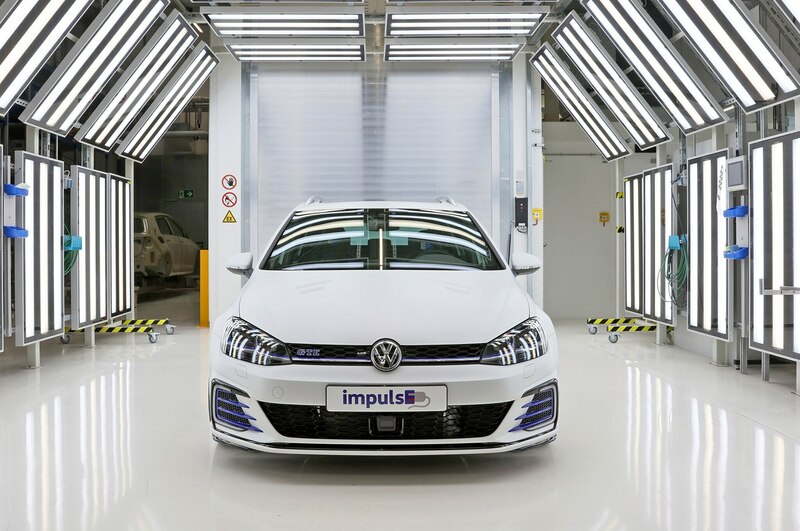 Apprentices from Volkswagen Sachsen are also revealing their own car, the Golf GTE Variant impulsE, built in the Zwickau factory. 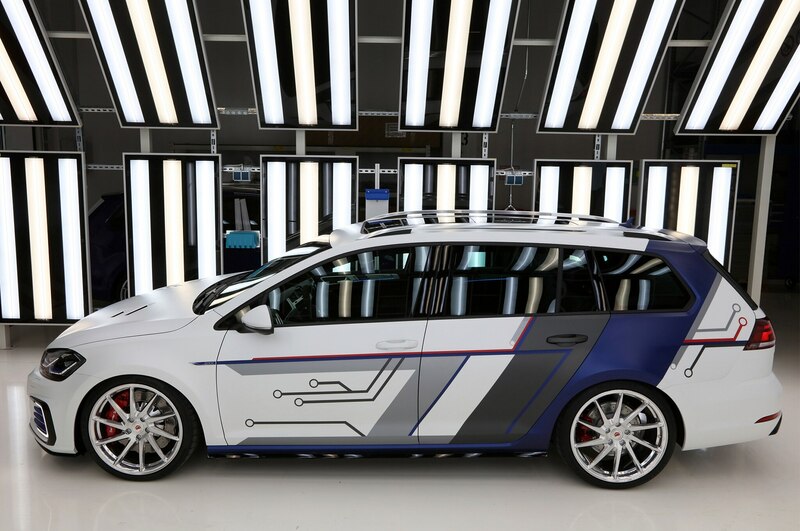 The hybrid show car has a prototype battery with a capacity of 16.8 kW-hrs, doubling the wagon’s all-electric range. 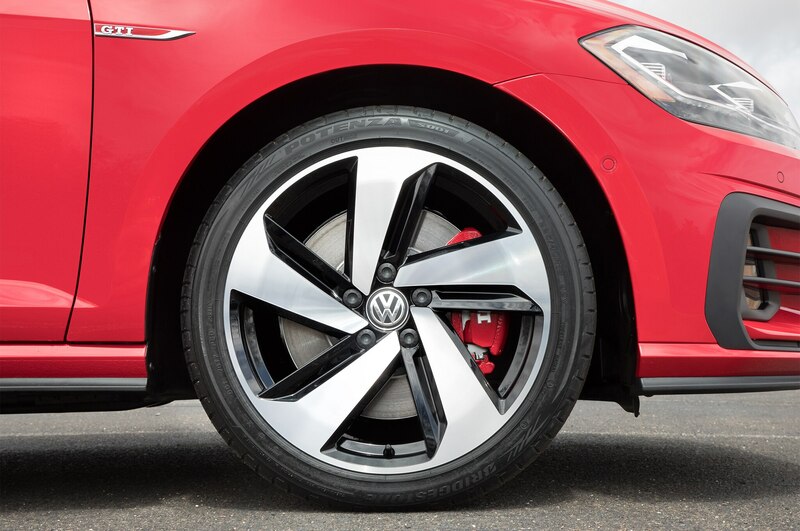 The hybrid’s exterior paint is striking thanks to its five-tone matte paint job in Oryx White, Apassionata Blue, Anthracite, Hallmark, and St. James Red. 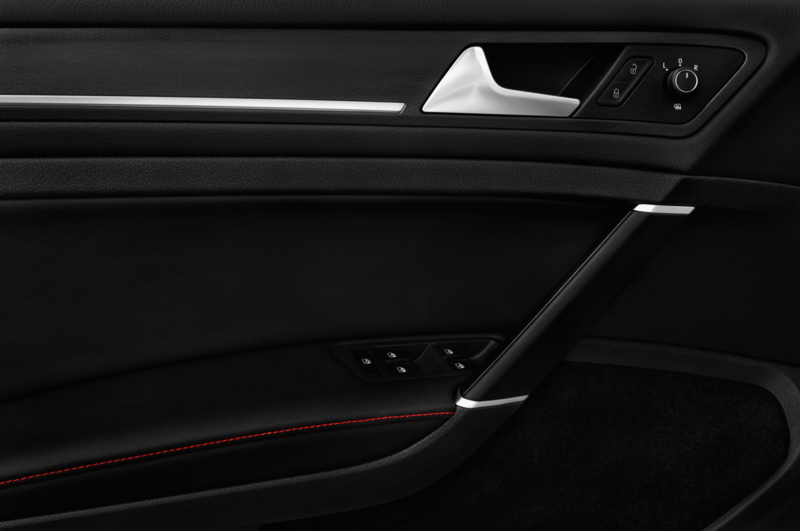 The interior features animated, app-controlled ambient lighting, blue stitching on the panorama sliding roof and leather/Alcantara bucket seats, and impulsE embroidery on the seats.